Showcase Dance Productions was established in 1995 in Brockton, MA, under the direction of Sheryl Simons. The organization provides a strong foundation of dance education and offers unique performing opportunities for all types of talent and ages. Our unique performing opportunities begin with a high standard of dance education in the classroom. Dancers are placed by ability and level of training to build a strong foundation of dance. An emphasis on technique, self-confidence and self-expression, along with stage presence and music appreciation, are taught in preparation for our dance productions. Sheryl Simons began her younger training at The DeLutis School Of Dance in Mansfield under the direction of Dorothy Beaton and Rosemarie Boyden. She continued to study under the direction of Dianne Morganelli-Sweeney at The American Academy of Dance. She also studied at The Boston Repertoire School of Ballet. Her training continued with many hours in New York City, Philadelphia, as well as dance conventions and workshops throughout the U.S. She is a Dance Major graduate of Dean College and continued her education at the Philadelphia School of Arts. Her performing credits include the Dean College Dance Company and the Philadelphia Dance Troop. 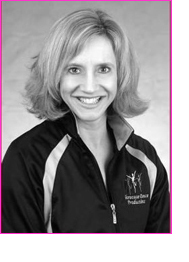 Sheryl is a graduate of Dance Teachers Club of Boston Dance Education Training Course. She has taught at several dance schools in the area. Her involvements in competitions as a competitor and teacher have enhanced her overall dance experience as a dancer and teacher. Sheryl has recently completed seminars with Rhee Gold's Project Motivate, as well as The Broadway Dance Center Dancer Teachers Convention in New York City and Dance Olympus Workshops. In addition to herself, Sheryl has some of the most talented, well trained instructors, choreographers, and guest instructors, working together to create a strong faculty to educate the students of Showcase Dance Productions. Miss Michelle (Ballet, Pointe, and Lyrical) has over twenty years experience teaching all genres of dance with her favorite style being Musical Theater. She has worked with all ages from toddler through adult. Michelle has had the luxury of taking classes with master teachers and performers. She has performed and choreographed gold winning pieces in competitions at the regional and national levels and has been the recipient of special choreography awards for creativity and originality. She enjoys performing and choreographing for SDP during the January showcase which she has done many times since its creation in 1997. Michelle joined the faculty of Showcase Dance Productions in 2006. Miss Judy is a graduate of Bridgewater State College. She has 18 years of experience in teaching dance to children ranging in age from 2 through High School. She continues to take master classes and performs in the area as often as possible. Judy has been involved with Showcase Dance Productions as a student and a choreographer for over 15 years. Judy joined the faculty of Showcase Dance Productions in 2008. Miss Katie is a sixth grade special education teacher in Franklin, MA. She began Irish Step dancing at the age of 7 with the Hansen-Keohane School of Irish Dance in West Roxbury, MA under the direction of Maureen Keohane and, her daughter, Alanna Keohane. She danced competitively with this school for four years in both soft and hard shoe. Upon transferring to Providence College in September 2005, Miss Katie helped start an Irish Step Club. Within this club, she choreographed dances, taught soft shoe dancing to new members, and performed in a variety of shows held at Providence College. After college, Miss Katie has kept up her Irish Dancing by participating in adult ceili classes. She is excited to share her love of teaching and Irish Dance with new dancers. 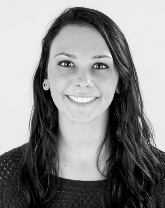 Katie joined the faculty of Showcase Dance Productions in 2014. Miss Rachel began dancing at age 6 with Tap and Ballet and discovered Irish dance at age 8. Since, she has done 12 years of Irish dance, and has been dancing competitively for the last 10. Dancing at Prizewinner level, she has competed in the IDTANA New England Oireachtas multiple times, placing 9th in 2011, and 5th in 2012 in her category. Rachel currently studies Irish dance as both as a competitor and a performer. She has taught at several recreational Irish dancing schools and is experienced to teach dancers ages 3-18 in soft shoe, hard shoe, and ceili dancing. Rachel has a passion for both Irish dance and the positive impact it has on dancer's lives. Rachel is the dance team coach for our Irish Step Junior team and our Select team. Rachel joined the faculty of Showcase Dance Productions in 2013. Mr. Mark began his dance training at the age of 10 at Shawn Terenzi's Academy of Dance in Lawrence, MA. There he was trained in ballet, tap, jazz, lyrical, hip-hop and acrobatics. Mark is also a principle member of the Methuen Ballet Ensemble located in Salem, NH. Over the past year he has performed at the Boston Contemporary Dance Festival, Dean College's Dance Company, and MBE's Cinderella and Nutcracker. He is currently the Vice President for Dean College's tap team: Loose Screws. Mark is pleased to be sharing his love of dance, and strives to help students exceed to their potential. Mark joined the faculty of Showcase Dance Productions on 2017. Mr. Mark is currently pursuing his BA in dance and business at Dean College. Miss Katie began dancing at the age of seven. She danced competitively as a teenager and went on to perform with the Notre Dame Irish Dance Team in college. 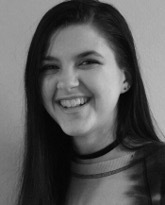 Katie has been teaching Irish dance since 2008 and has taught at several local dance schools. She also taught dance in Toledo, Spain during a semester abroad. 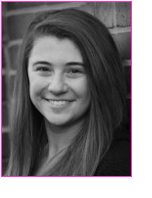 Katie has worked with dancers ages 5-18 in both soft shoe and hard shoe. She believes that dancers develop strength, confidence, and passion through their art. She is excited to work with the very talented Showcase dancers! Katie joined the faculty of Showcase Dance Productions in 2015. Miss Leanna's passion for music and dance began at a young age in New Orleans where her parents performed on stage. From the time she was 7, she found herself on stage and busy with chorales, live theater shows, and dance. She studied and taught ballet, jazz, tap, musical theater, and hip hop over the span of 16 years. Miss Leanna began her college education at the Hartt School of Music/University of Hartford in West Hartford, CT, where she studied musical theater and music education with a vocal emphasis. After three years of college, she moved to Seoul, South Korea, for 18 months on a service mission. On her return to the United States, she received her Bachelor's Degree in Choral Music Education K-12 from Brigham Young University where she performed on stage at the Hale Center Theater and sang with the world-renowned touring group, BYU Singers, as well as The Mormon Tabernacle Choir. Miss Leanna holds a Master's degree in Music Education from The Boston Conservatory. Over the past 18 years she has been seen on the stage in shows such as West Side Story, Fiddler on the Roof, Guys and Dolls, Hello Dolly, Bye Bye Birdie, Grease, and Once Upon a Mattress. In addition to choral music, she directed the K-2 class at Bay Colony's Summer Theater Camp at the Foxboro Orpheum. Leanna was the Foxboro High School choral director from 2007- 2011 and taught choir and select instrumental lessons at the Ahern Middle School from 2007-2016. She has been teaching private voice lessons for 12 years and shares her passion of music, theater, and dance with her husband and their three children who have all been involved in the theater arts. Miss Leanna joined the faculty of Showcase Dance Productions in 2017. Miss Samantha is a recent graduate of Dean College (’18) with a Bachelor of Arts degree in Dance and an Associates of Arts degree in Psychology. During her time at Dean, Samantha studied various techniques including Ballet, Tap, Jazz, Horton, Ballroom, Hip Hop, Dance Composition and Pedagogy. Samantha has choreographed for several campus concerts including Arts Mosaic, Choreographer’s Concert and New Dancer’s Showcase. Her most recent work was accepted into the New York State Dance Educator's Affiliate (NYSDEA) conference student showcase in Rochester, NY. Samantha also had the privilege of working one-on-one with Joan Phelps Palladino to compose and publish her book, The Power of Movement. She is the recipient of the Trustee's Prize for the Palladino School of Dance where she is recognized for her dedication, contributions and academic performance throughout her four years at Dean. Samantha is passionate about her teaching and is so excited to be teaching Lyrical and Ballet at Showcase Dance Productions! Samantha joined the faculty of Showcase Dance Productions in 2016. 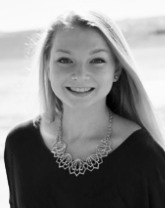 Miss Chrissy has a Bachelor's degree in Management with a minor in Dance from Bridgewater State University. While at BSU, she choreographed and performed with the Dance Company. 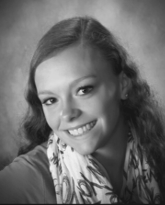 Over the past 17 years, Chrissy has studied ballet, Irish step, modern, tap, and jazz. She has been teaching dance for 4 years at Karen Gibbons School of Dance, where she began her training, and other studios from the area. She has taught both soft shoe Irish step and ballet. Chrissy joined the faculty of Showcase Dance Productions in 2016. 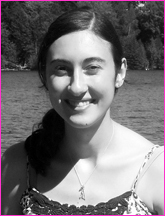 Miss Marisa is a dance major and is obtaining her BA at Dean College School of Dance. She began her dance training at the age of 9. She studied Ballet and Pointe at Londonderry Dance Academy in New Hampshire and continued her dance training at Allegro Dance Academy in Nashua, NH. Her performing credits include community performances, the Nutcracker, and competitions. She also takes part in Dean College performances, companies and Collaboration shows. Marisa loves to perform and loves to teach. 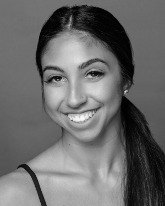 Marisa joined the faculty of Showcase Dance Productions in 2016. Miss Leanne is a graduate of Dean College, where she earned her Bachelor's degree in Dance and Minored in Psychology. She has had the opportunity to study genres in Ballet, Modern, Contemporary, Jazz, Tap, and Hip-hop as well as dance related academics such as Pedagogy, Kinesiology and Dance Composition. She has gained knowledge from many master teachers such as Robbie Murley, Jill Silverman, Gregory King, Todd Shanks, Jeremy Howe and many more. Leanne has been a part of Dean College's “Company” where she has had the chance to perform with a selected group of dancers for an annual concert by brilliant choreographers. Leanne has had the opportunity to work with Donlin Forman, Rose Pasquarello Beauchamp and Julianne O'Brien Pederson. She also had worked with students choreographing pieces of her own and as the Captain of the Dance Team that were premiered in shows such as, Choreographers Concert and Arts Mosaic at Dean. Leanne has performed "Strange Invisible Perfume" choreographed by Gregory King at the Joyce Theatre, NYC for NYCDA Destiny Rising. She also completed Alvin Ailey American Dance Theatre's Summer Intensive and performed a piece choreographed by Judine Somerville. She is a member of the New England Patriot Cheerleaders 2016-2018. Leanne joined the faculty of Showcase Dance Productions in 2016. Miss Adrena is a dance major at Dean College. She has had the opportunity to study genres in Ballet, Modern, Contemporary, Jazz, Tap, and Hip-hop as well as dance related academics such as Pedagogy, Kinesiology and Dance Composition. She will be obtaining a major in performing arts and a minor in English. While balancing her studies, she is also a Cheerleader for the New England Patriots. Adrena has been dancing since she was three years old and enjoys passing on her love for dance. Adrena joined the faculty of Showcase Dance Productions in 2018. Bailey joined the faculty or Showcase Dance Productions in 2018. Miss Summer began her dance training at the age of 3 at Dance Foundations in Columbia, MD. The studio was later changed to Genesis Arts LLC. There she was trained in ballet, pointe, modern, jazz, tap, hip-hop, and acrobatics. Summer is currently a dance major obtaining her BA, and an Associate’s degree in business at Dean College. She is a member of Dean College’s tap team, Loose Screws. Her performing experience includes Dean College performances like Arts Mosaic and Dance Company as well as the 2017 Patriots Home Opener, and Disney. Summer choreographed for New Dancer’s Showcase at Dean College last fall. 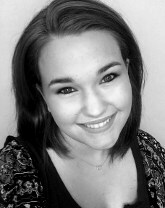 Summer loves to perform and teach, and is excited to work with the students at Showcase! Summer joined the faculty of Showcase Dance Productions in 2018. Miss Alyssa had many opportunities while at Dean. She served as the President of the Hip Hop team at Dean College, worked as the Assistant to the Director for the Arts Mosaic showcase, mentored and choreographed for the Freshman dance majors during her internship as a Peer Mentor for the Joan Phelps Palladino School of Dance, and worked personally with Joan Phelps Palladino to write and self-publish a research novel entitled #HipHop. She is the recipient of the Drusilla Carlson Phelps Memorial Scholarship for her work in Pedagogical studies, choreography, and performance. Miss Alyssa joined the faculty of Showcase Dance Productions in 2018. Miss Theresa is an alumni of Showcase Dance Productions, where she began her training at age 6. She has trained in many styles, including ballet, pointe, tap, jazz, contemporary, and modern. Always eager to perform, Theresa joined the studio’s dance team, participating in numerous showcases, competitions, and community performances. From a young age, Theresa was fascinated with choreographing, often creating pieces for student showcases or just for fun. At the age of 15, she began assistant teaching combo classes and has now taught in many styles to age groups ranging from toddlers to teens. Theresa looks forward to growing her passion for teaching and choreographing while helping students implement not only technique but emotion into their dancing.